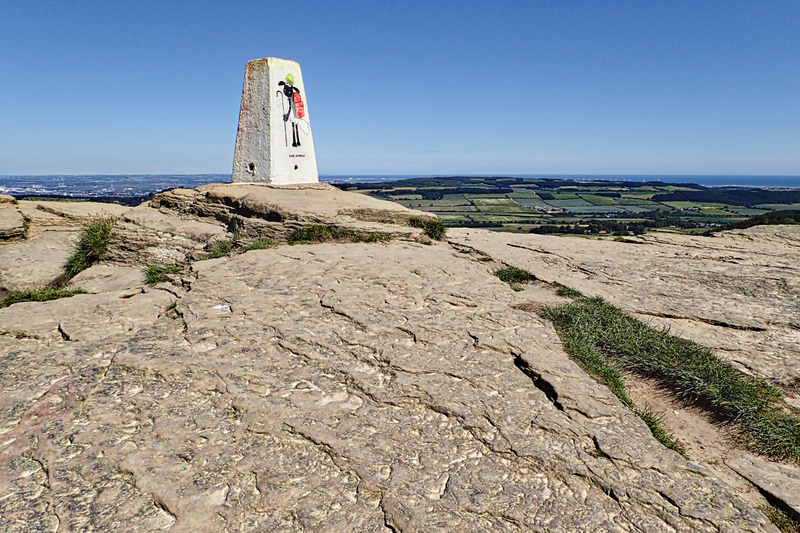 Last summer the National Trust commissioned a local artist to paint one face of the trig point on Roseberry in an attempt to discourage graffiti. And, by and large, it worked. For a year the artwork has been respected and the trig point has been left relatively clean. I was ambivalent. Now a self-proclaimed “street artist” has taken it upon himself to paint another one of the faces. Of course, some will say that concrete trig points are ugly man-made appendages but is this really an enhancement to the landscape? Roseberry, after all, is not a street. And it opens the floodgates for other “artists” to lay claim to the canvas. Of course, man has been always felt a desire to leave his mark on the landscape, the moors are full of rock art, carvings and tumuli. And as for the artwork itself, Shaun the Sheep is not particularly original.